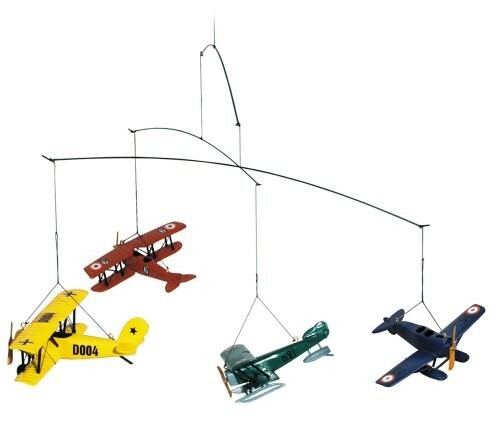 Watch these vintage planes soar in your child's room! 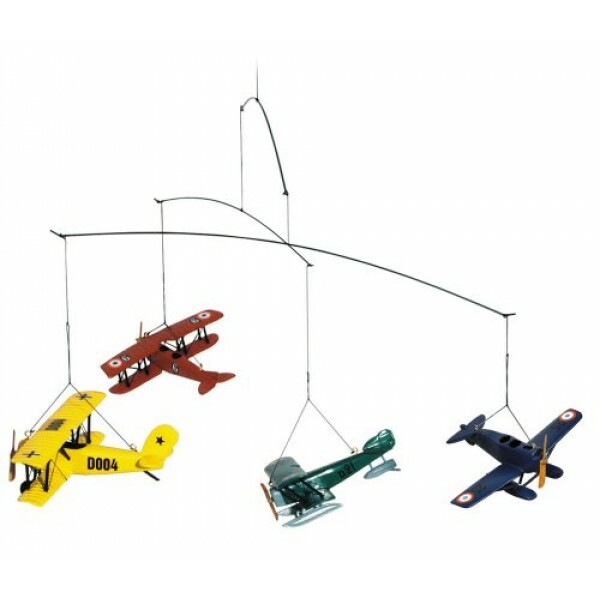 Stainless steel wires and nylon line keep planes in constant graceful motion. The wood planes are brightly painted and sure to be a hit! For more art and decor to create inspiring spaces, visit our Art / Decor Collection.